I have been meaning to try one of the Chanel Rouge coco shines for quite some time now and although I know a lot of people love the colour Boy it was Monte Carlo which caught my eye. I would describe the colour as a raspberry red, applied once it is a light almost pinky red colour applied with two layers it is a lovely subtle red which is not garish and in your face. I have wanted a red lipstick for quite some time now however have not found one I’m brave enough to wear due to being a dedicated pink lipstick wearer! I feel one reason I love this red lipstick so much is due to the fact its sheer which means I can build it up to the colour I want. I love that this lipstick has a glossy finish to it, it applies lovely and is so lightweight it feels as if you are just wearing a balm. I have read that some find this dries their lips but I find it does the opposite and leaves my lips nice and hydrated. Monte Carlo comes in Chanel’s chic black and gold packaging which looks lovely and makes it feel even more luxurious. One little thing that does bug me about this lipstick is it only lasts 2 hours, so I can imagine these lipsticks wouldn’t last you very long! Ah... the gorgeous Monte Carlo! 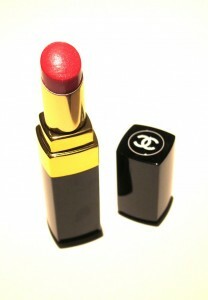 This was my first ever Chanel product, and my gosh it was a good one to start with. 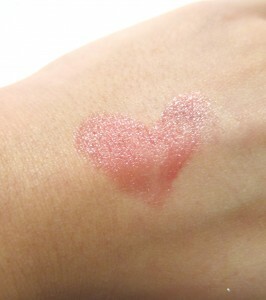 I love it so much, and carry it in my handbag on a permanent basis. I agree, the sheerness not only allows you to build the intensity up, but I find I dont have to worry about applying it in a mirror all the time as its not one of those 'has to look perfect' lipsticks. Nice to hear when others like the same things! Thank you for your comment Cornelia :) I'm glad someone else thinks it is as great as I do! I can't stop wearing it at the moment, perfect for this cold weather!